There were times in this movie where I had goosebumps. Some may say that the biopic about the rock band Queen, led by one of the greatest front men in the history of rock music, Freddie Mercury, was too simple and basic of a story. And the performance required of an actor to bring back to life Freddie Mercury was a task extremely challenging. Fortunately, that job fell into the talented hands of Mr. Robot’s Rami Malek, who proceeded to unfurl a performance for the ages that combined perfectly with the magnificent music of Queen into a cinematic experience unlike most others. I am uncertain if Malek performed the songs or if they were lip synced, but they were perfectly constructed into the narrative and brought what could have been a typical and unremarkable biopic into a marvelous musical engagement. The film begins and ends at the Queen performance at Live Aid, the worldwide concert to raise money for starving people in Africa. The concert scenes in Bohemian Rhapsody were wonderful and stirring. Malek became Freddie Mercury before our eyes and embraced the character like few others could. Although his performance transcended the film, Malek was not the only strong performance in Bohemian Rhapsody. Gwilym Lee brought Queen’s guitarist Brian May to the screen and Ben Hardy embodied the drummer Roger Taylor. Both band members were able to illuminate the complicated relationship with their eccentric lead singer. The band displayed a wonderful feeling of family, where even when they fought, it was clear that they had each other’s backs. No scenes exemplified this more than the scene where the band arrived at the offices of EMI record executive Ray Foster (Mike Myers, in a funny and surprisingly ironic performance). Queen seemed to be completely together, a single mind shown to the world, intent on releasing the six minute Bohemian Rhapsody as their single, despite the objections of Foster. Other scenes that were the best ones in the film were the scenes of the band and how they came up with the great music that they did. The creation of Bohemian Rhapsody the song is an epic section of the film and highlights the creativity of the musicians involved in Queen. The relationships within the band were stretched to the limit, as many families are, with the introduction of Paul Prenter (Allen Leech) and the distancing of Freddie from his family by way of drugs, alcohol and sexual experimentation. Leech must have done a marvelous job, because I hated that man, who threatened to tear the band apart by placing himself square in the middle between the band and Freddie. The resolution of that situation in the movie was tremendously satisfying. Another relationship that was beautifully rendered was the one between Freddie and the love of his life, Mary, his ex-wife who is truly his soulmate. Mary knew Freddie was gay before Freddie knew it, and yet she did not blame him for his confusion. The relationship was so powerful that it survived through the trials that Freddie heaped upon it. While Bohemian Rhapsody, the movie, is not as experimental as the band Queen was with their music, I did not find that to be a problem. 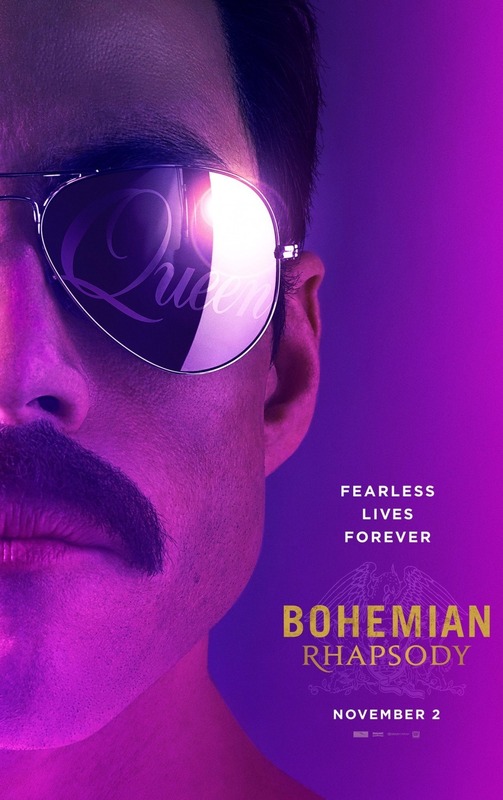 As a big fan of Queen’s music, it was expertly interwoven in the movie and, along with what should be an eventual Academy Award nominated performance by Rami Malek, elevated what could have been typical biopic fare into something that was killer. Killer Queen for sure. I really don’t know why the reviews on this film are so mixed. I think it is one of the best films of the year. This film went through some production issues. Sacha Baron Cohen was once the lead and there was disputes over whether it should be PG-13 or R.